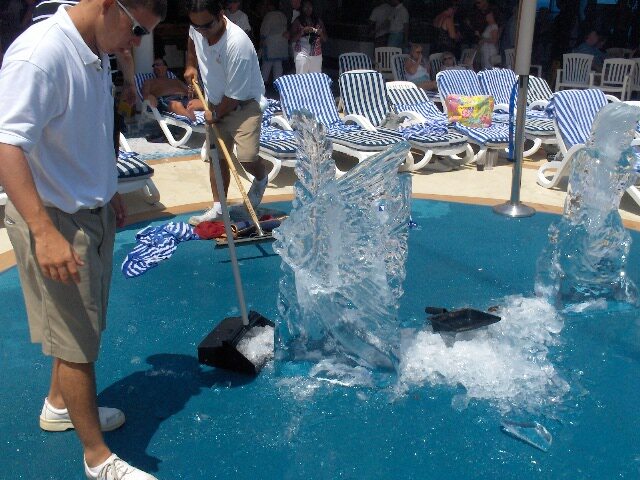 Cruises and Destinations - Our Cruise Reviews: Days at Sea – We Love the Sea Days on our Cruises. 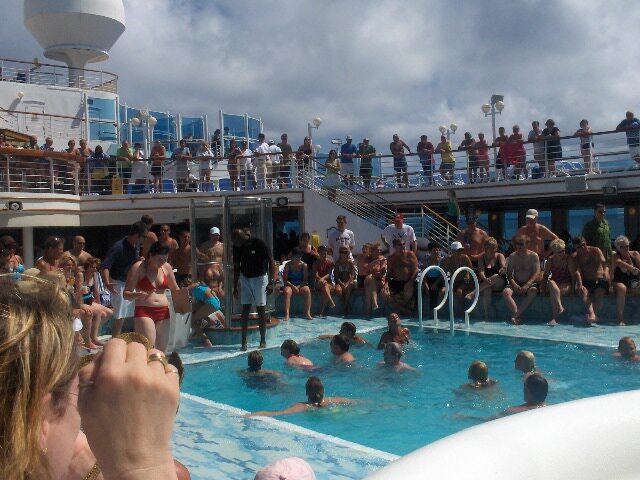 Days at Sea – We Love the Sea Days on our Cruises. Exploring new destinations is possibly the biggest draw for us when it comes to taking a cruise, but there is a lot more to cruising than just new ports and cities to visit and explore. Even sea days, when the ship doesn’t stop anywhere are an important part of the cruise, at least as far as we are concerned. We like to basically relax on sea days. There is no need for us to get up at the crack of dawn, hurriedly eat breakfast, and race down to the disembarkation area to catch that shore excursion that we booked so long ago. Nope, on sea days we often don’t get up in time to catch breakfast, but since food is continuously available it isn’t a problem. Our normal routine on a sea day would be to have breakfast rolls, orange juice, and a pot of coffee delivered to the room. Then it’s out to the balcony to bag some rays. 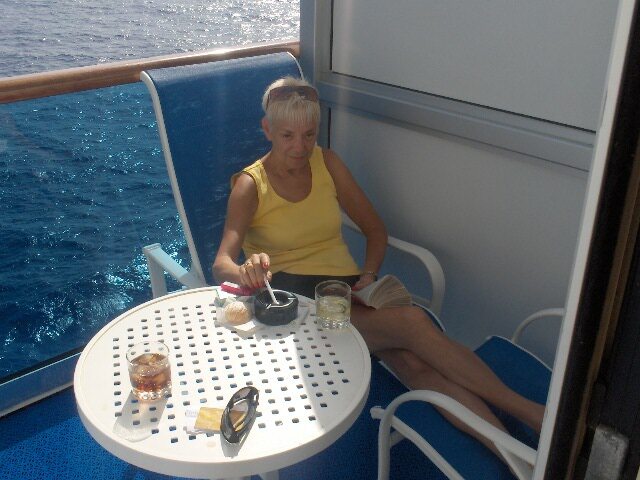 Most of our cruising is done in warmer climates, and often on sea days we spend a lot time on our balcony. We always get a balcony state room. Kathy incessantly reads, and she really likes to sit in a lounge chair and read out on the balcony in the sun. If we get bored with the balcony there are always lots of things going on. We occasionally play some bingo, and watch some of the silly human games they play at the pools. We’ve even been in the hot tub a few times. I don’t think we have ever seen a movie on a cruise ship though, but they are always available if we ever deem it desirable. Kathy thinks that sea days are a great time to get a foot massage. She really likes the foot massages they give on the cruise ships. Sea Day evenings are often the formal nights which again, Kathy loves. She made me buy a tux. 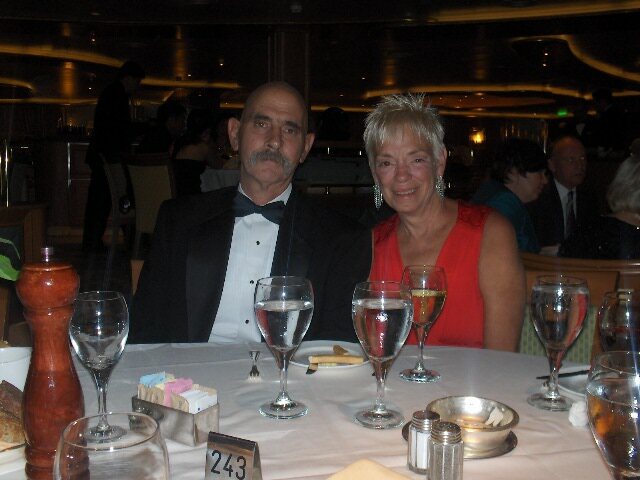 Actually, since I would have to rent a tux every time we went on a cruise it’s better to own one and do away with all the hassles of renting one every trip. Try not to forget the little box of studs and cuff links though. I even forgot to bring the shoes once. We often cruise with friends we’ve met on cruise critics and we have kind of a group thing going where occasionally a bunch of us all book the same cruise. If that is the case then there is often a party going somewhere most of the time. Our cruise critic group can really be wild at times. There have been some really great practical jokes. 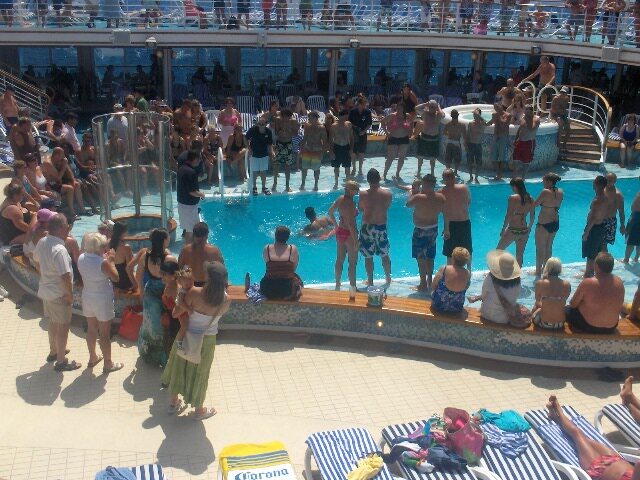 There was one cruise a bunch of us took to the Mexican Riviera during which Halloween occurred. The ship had a big Costume party and our group had some pretty amazing costumes. We’ve participated in acts like short-sheeting peoples beds, filling the bathroom with balloons, and even putting a full sized blow-up doll in one of the groups shower. 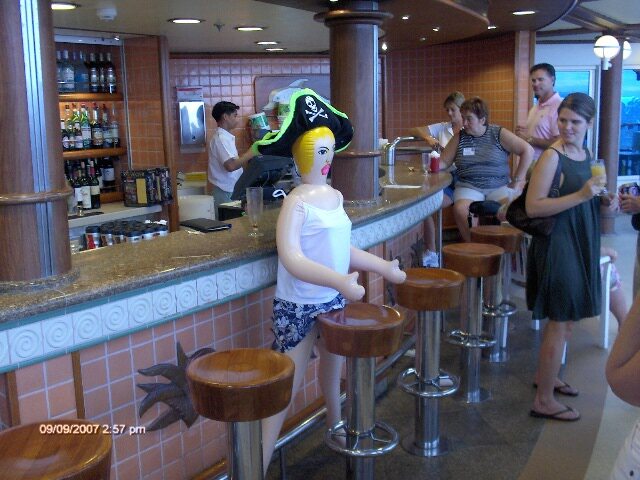 On this cruise we had female and male blow up dolls as mascots that kept showing up in the oddest places. They attended most of the parties and showed up in several of the groups staterooms unexpectedly thanks to some co-operative room stewards who were having as much fun as we were playing the practical jokes on each other. I’m posting the pictures below from some of the sea day activities and whatnot from our Caribbean Princess cruise to the Eastern Caribbean a few years ago. I think they are bobbing for fFruit in this game. See, there she is, Kathy is reading on the balcony. See... I do have a Tux!